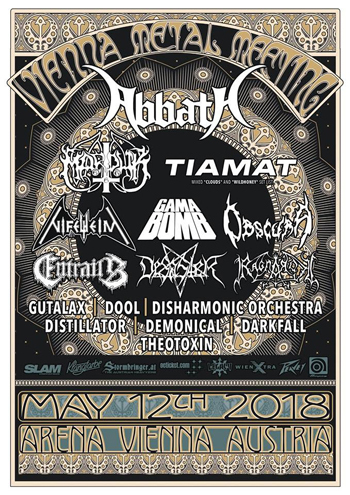 ABBATH, MARDUK, DESASTER, DOOL, ENTRAILS, RAGNAROK, DISHARMONIC ORCHESTRA, DARKFALL and THEOTOXIN have been added to the line-up of the Vienna Metal Meeting 2018. The second edition of Vienna’s only real Metal festival will take place on Saturday 12th of May 2018, once again at the reputable Arena venue. Expect visitors from all over the world who can experience 16 bands live on two indoor stages. No fillers – just killers!